Devon County Wedding Cars are delighted to be named as an official supplier to the idyllic Millbrook Estate and their stunning wedding venue in High Bickington. We liaise with the Millbrook team to deliver a very personal and bespoke service for their guests. Please click on the link above for more information on their bespoke weddings and romantic getaways. Two of our cars, the Mini and A40 have recently been photographed for Mini Magazine and another to be announced by excellent local photographer Jon Robinson-Pratt. You can see some of the work on the galleries. Vintage is a trend that’s here to stay we believe and we’ve noticed several ceremonies and reception wanting a classic style and vibe. To do that you also need some vintage music to end the day on a high. 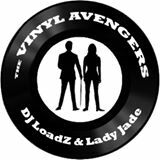 So if you want DJ’s who play great tunes purely on warm lush vinyl we recommend some good friends of ours; the Vinyl Avengers…..
soul, funk,ska and disco all catered for…. contact Ian or Jade for a quote. 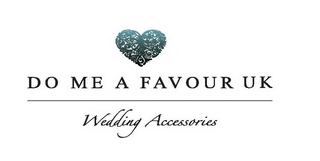 We are happy to recommend Do Me A Favour of Barnstaple for your Wedding Favours and decorative supplies as one of our network of excellent companies to deal with. Please contact them with any enquiries you may have for your reception. 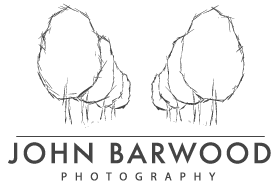 If you need another photographer recommendation for your wedding or any special occasion we can also tip you towards our friends and colleagues at John Barwood Photography. We have worked with John and Soph and they are thoroughly professional, their images are superb and the record of your day will be preserved with such little fuss that the day will just fly by. Please feel free to contact them at the link above and tell them we sent you. Who doesn’t love ice cream? 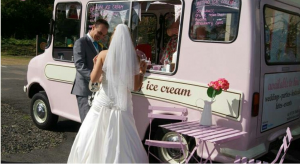 especially in the West Country…..would you like to complement our own classic cars with a classic ice cream van too?…. contact our friends at Mabel’s and you and your guests can enjoy some creamy heaven in Devon…. Devon County Wedding Cars was very proud to again support the Historic Vehicle Gathering at Powderham Castle on the weekend of July 8th and 9th 2017. Organised by our friends from the Crashbox & Classic Car Club of Devon and supporting local charities supported: MIND (SW), Pancreatic Cancer and WESC the foundation for blind and partially sighted. We were in attendance but in a social capacity rather than in a business mode. I run the motorcycle section at the show, it was a very hectic (but enjoyable) day for me as a part of the organising team but as always can find time to talk to you if you want to combine looking at the cars with a great day out for charity thrown in. If you require a car for this weekend however, please contact us as as most of our vehicles will be on the stands and we have limited ability to provide transport that day but will accommodate you if at all possible. (If you like, think of it as our cars mini vacation where they have a weekend off relaxing in the sunshine)! We had great weather this year and raised the biggest ever sum for charity in the events history as well so we loved all our friends, customers and supporters joining us there. At the Practical Classics Restoration Show 2016 last year we also won the inaugural Car Club Award for Outstanding Car Club Event for 2015. We will be supporting again in 2018 so come on down and join in the fun next year.